Fire and Fury by Michael Wolff, reviewed. Fire and Fury’s shoddy journalism manages to indict both Wolff’s tactics and the whole media ecosystem around him. Photo illustration by Natalie Matthews-Ramo. Photos by Dimitrios Kambouris/Getty Images for The Hollywood Reporterand Thinkstock. This story hasn’t gotten much play in all the commentary about Wolff’s book, but it is as powerful a spotlight on Wolff’s methods as any of the sexier tidbits. For starters, there is Wolff’s first crucial sentence on the matter, which includes not only the partial qualifier of “suggested,” but one “possibility” and one “possibly.” Then we have Wolff’s concession that the principals themselves were unsure about the veracity of Blair’s secret. And then, finally, comes the disappointing conclusion and the questions left in its wake: What did the CIA mean by “miscommunication”? Why is miscommunication in quotation marks? Was that what Wolff’s source told him, or what the CIA told Wolff’s source? And what exactly are we to take away from this entire tale? Wolff would probably say that even if what Blair revealed isn’t true, the fact that it was told to Wolff tells us something about the person who told him, or about Blair. But we don’t know who the source is; nor can we glean any insight into the former prime minister, since the “miscommunication” might mean that Kushner misunderstood Blair. Overhanging the entire tale—and every page of Fire And Fury—is the more crucial problem that Wolff is talking to a bunch of pathological dissemblers who have been known to blatantly lie to the media and really cannot be trusted at all. In essence, we have a story that could plausibly be true—at least the part about Blair telling Kushner this—but the reader has no way of deciphering whether it actually is, or of evaluating what it could possibly mean. The only philosophical approach for the reader to take is complete agnosticism, and the only judgment to make is that this really isn’t journalism. Call it the Michael Wolff way. Since Fire and Fury’s thunderous debut last week, much ink has been spilled over Wolff’s small errors, the unbelievability of several of the stories he relates, and his general character as a journalist. These critiques are all essentially correct: He has been known to make lazy mistakes; he tells stories that prompt eye-rolls because something about them just doesn’t ring true. Yet Fire and Fury is a much worse book than any of these criticisms suggest. 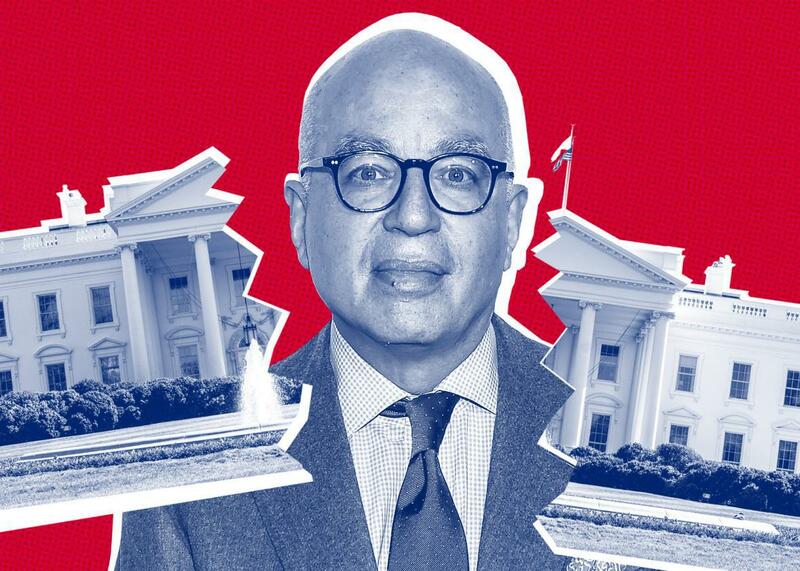 Wolff is not merely out of his depth—he frequently seems confused by even basic matters of political ideology—but he also rather starkly displays all the problems with writing palace-intrigue stories about dishonest and unscrupulous people. Another throughline of the book—that the media has abysmally failed to cover Trump fairly or adequately—is correct, but not in the way he thinks. The starkest sign of a rotten media ecosystem is that a book this flimsy and dubious could dominate the news cycle. Working in Wolff’s favor is the fact that, despite his journalistic shortcomings, his overarching narrative—Trump is an unstable and incompetent president who has no business holding the office he didn’t really want all that much anyway—is disturbingly credible. And to Wolff’s partial credit, he seems to have some awareness of the critique of his type of journalism, and he addresses it in the “author’s note” that starts the book. Many of the accounts of what has happened in the Trump White House are in conflict with one another; many, in Trumpian fashion, are baldly untrue. Those conflicts, and that looseness with the truth, if not with reality itself, are an elemental thread of the book. Sometimes I have let the players offer their version, in turn allowing the reader to judge them. In other instances I have, through a consistency in accounts and through sources I have come to trust, settled on a version of events I believe to be true. There is certainly value in letting people’s words come through; in allowing subjects to tell their own stories; in encouraging readers to reach their own judgments. Too often, in these tense times, the media has been wrongly criticized for not being didactic enough. But Wolff’s approach, as practiced by Wolff himself, has serious flaws. Take the story he tells about Trump and women, which serves as a nice counterpart to the Blair anecdote. “Even among world-class womanizers and harassers, they seemed exceptionally free of doubt or hesitation,” Wolff writes of Trump and Bill Clinton. He continues: “Trump liked to say that one of the things that made life worth living was getting your friends’ wives into bed. In pursuing a friend’s wife, he would try to persuade the wife that her husband was perhaps not what she thought. Then he’d have the secretary ask the friend into his office; once the friend arrived, Trump would engage in what was, for him, more or less constant sexual banter.” The upshot, however, was that the wife with whom Trump had been speaking before her husband entered his office would still be listening secretly on the phone which, presumably, would lead her to jump into bed with Trump. I have read this passage several times and am not sure if it falls into the category of Wolff letting one of the players offer a version of events, or Wolff settling on a version of what he thinks is the truth. The words are written, except for the sentence about what Trump “liked to say,” as if Wolff himself believes them to be credible. And yet maybe Wolff just wants to highlight that Trump is the type of guy who says this about himself, that it’s just a type of boasting, which Wolff thinks is important for readers to know about. But then why start the story off with a line about how Trump seemed “exceptionally free of doubt or hesitation,” which seems to indicate to the reader that Wolff buys what Trump is saying, even with no other evidence that the absurd and nonsensical anecdote is true? There is simply nothing concrete to take away from this. Moreover, Wolff seems confused as to what precisely he is trying to argue about Bannon’s personality and role in the White House. “Curiously, Bannon never expressed a sideways thought about Trump—not yet,” Wolff writes, despite the fact that he had Bannon, months earlier, clearly displaying doubts about Trump’s mental capacity. “There was no Bannon without Trump,” Wolff writes on Page 176. “There was no Trump without Bannon,” he adds with equal portentousness on Page 299. In neither case is it really clear what Wolff means. (Trump is now without Bannon, and seems … exactly the same.) At other moments, Bannon himself is the one who comes across as confused, ranting about warmongers while at the same time trying to get the famously hawkish John Bolton made national security adviser. Whether Wolff even notices such contradictions, he certainly has no interest in portraying Bannon as intellectually unimpressive, let alone ideologically confused. Wolff also finds himself on shaky ground whenever he peeks from behind the curtain and starts analyzing politics. “Almost nobody represented what Bannon opposed as well as Paul Ryan,” Wolff writes, before going on to add that one of the essences of Bannon (and his right-wing patrons, the Mercers) was “a determined Keynesianism.” This is what one might call a howler, but it fits with Wolff’s portrayal of Bannon as Bannon would like to be seen—the guy who wants to raise taxes on the rich; the true populist; the fighter for the little guy. Meanwhile, the real Bannon (and the real Mercers), as the book was being written, was busy threatening Republican candidates who dared not back Trump’s plutocratic tax bill. One crucial thing to remember about Trumpism, or Bannonism, is that it overlaps a good 95 percent of the time with Ryanism. Who could have possibly guessed that the thuggish and bigoted aspects of Bannon’s worldview would be realized over the past year, while Trump’s economic agenda would be interchangeable with Ryan’s? Still, the notion that this was a marriage in name only was far from true. He spoke of Melania frequently when she wasn’t there. He admired her looks—often, awkwardly for her, in the presence of others. She was, he told people proudly and without irony, a “trophy wife.” And while he may not have quite shared his life with her, he gladly shared the spoils of it. “A happy wife is a happy life,” he said, echoing a popular rich-man truism. As touching as it is that Wolff considers Trump’s appreciation of Melania’s looks a sign of a real marriage, this is surely the first time I have ever heard someone use the phrase “trophy wife” as evidence of an emotional bond. The other reporting on the rest of the Trump family is not much better. In an anecdote that has been called into question for other reasons, Wolff claims that Ivanka Trump once said into a cellphone, “Things are so messed up and I don’t know how to fix it.” Who was she talking to and about? We are not enlightened, although Wolff of course presents it as evidence (for the admittedly obviously correct proposition) that the White House had run off the rails. This is surely the Rosebud of Wolffism. In Wolff’s world, “openness to the media” means a willingness to blab to reporters—regardless of whether the blabbing is substantive or even true. It isn’t about, say, an honest or even partially honest accounting of government policy. Past administrations—especially the last two—had lamentable records in this area, but neither was anything like Trump’s. Wolff has written a whole book sourced from people who make a living lying to the press—which some of them are happy to admit to—and perceives it to be openness! He, for one, certainly doesn’t seem to care if he was lied to. One of the Wolff stories that has gotten the most play is one about Trump not knowing who John Boehner was. Since the two men clearly knew each other, the story has been attacked as inaccurate. Wolff’s ally Janice Min, part owner of the Hollywood Reporter (which Wolff contributes to), struck back at critics with a very Wolffian defense, and in the process explained how Wolff got the story: “FWIW, the Trump–John Boehner anecdote was shared by Roger Ailes at our dinner. Which doesn’t mean Boehner and Trump had never met. Just that on one important occasion, Trump did not remember Boehner’s name.” Notice the almost unconscious way in which Min just accepts Ailes’ story. Wolff’s method is essentially the It-Must-Be-True-Because-Roger-Ailes-Told-Me-It-Was-True writ large. In one sense, of course, Wolff isn’t alone. The whole genre of White House palace-intrigue reporting has long been somewhat problematic, and much too common. But disturbingly often in the past year, these stories have simply been unbelievable; they’ve felt more like liberal wish fulfillment than journalism. The best kind of palace-intrigue reporting comes from reliable reporters at reliable news organizations, where you can be certain (or at least optimistic) that they were pushed on the trustworthiness of their sources and forced to double-check things. None of this applies to Wolff. Instead, at the precise moment that the press is under grotesque attack from people who care nothing about the truth and are doing their (admittedly incompetent) finest to discredit honest reporting, we get a book in which it is impossible to distinguish fact from fiction—and pointless to even try. The Trump team probably regrets all the bad press they have gotten from Fire and Fury over the past several days, but they should surely feel sanguine about a media environment that allows Wolff’s method and standards to flourish. Fire And Fury: Inside the Trump White House by Michael Wolff. Henry Holt and Company.